Hillary Clinton (right) and Radcliffe Dean Lizabeth Cohen celebrate Radcliffe Day with Clinton receiving the Radcliffe Medal. 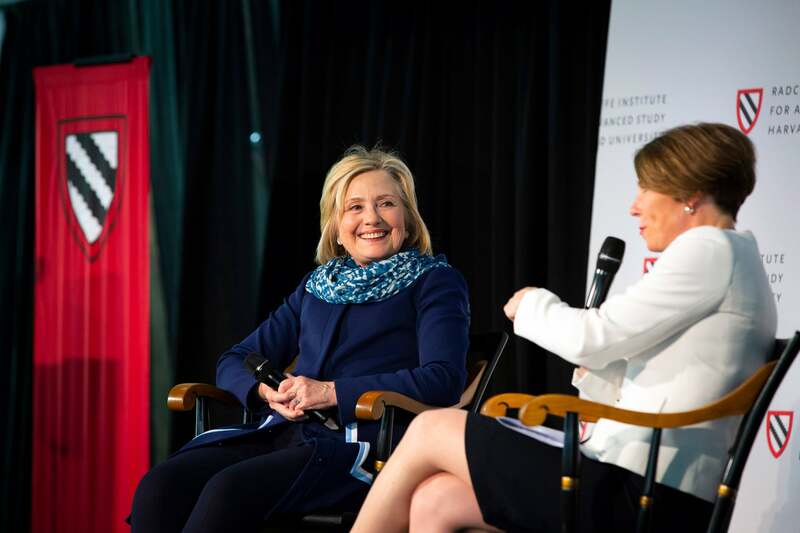 Hillary Clinton's visit to campus on Friday drew a camera-packed crowd. The National Science Foundation and the Simons Foundation have awarded a grant to Harvard scientists to create a research center, to be led by Professor Andrew Murray, aimed at bringing biologists and mathematicians together to answer central questions about living systems.